The Beatles:Tune In – now available in paperback! 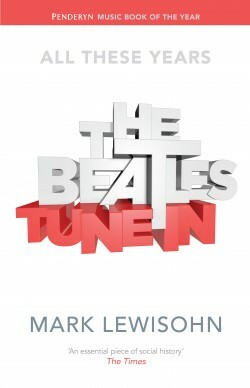 It’s been a while coming, but The Beatles: Tune In is now finally available to buy in paperback! Mark Lewisohn’s bestselling account of the most influential band to walk the planet has firmly established itself as the definitive book for all Beatles fans, and now you can own it for almost half the price of the original hardback edition. It all boils down to this. They were four war babies from Liverpool who really did change the world, and whose music and impact still lives on in so many ways, after all these years. I say, let’s scrub what we know, or think we know, and start over: Who really were these people, and how did it all happen? Copyright 2019 Little Brown Book Group | Website design and development by Kino Creative .